But not all back Abiy’s efforts. 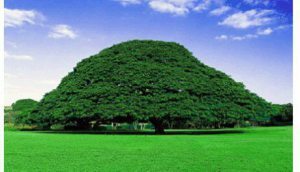 Last month, a grenade was thrown at a rally organised to showcase popular support for the reforms in Addis Ababa’s vast Meskel Square, where many among the tens of thousands supporters wore clothes displaying the new prime minister’s image and carried signs saying “one love, one Ethiopia”. Two people died and more than 150 were injured in the blast and the stampede that followed. “Love always wins. Killing others is a defeat. To those who tried to divide us, I want to tell you that you have not succeeded,” Abiy said in an address shortly after the attack. Officials said there had been other efforts to disrupt the rally, including a power outage and a partial shutdown of the phone network. At least 30 civilians and nine police officers were arrested. Since Abiy took power, there have been “organised attempts to cause economic harm, create inflation[ary] flare-up and disrupt the service delivery of public enterprises”, state media said. One possible culprit could be a hardline element within Ethiopia’s powerful security services – Abiy has replaced military heads with civilians and admitted past human rights abuses. Another could be a faction opposed to the effort to find peace with Eritrea. Strafor, a US-based consultancy, said the perpetrators of the “amateurish” attack were more likely to be from one of Ethiopia’s restive regions. The Ethiopian People’s Revolutionary Democratic Front (EPRDF), the rebel coalition that ousted the Derg military regime in 1991, is split by factional battles between four ethnically based parties as well as fierce competition between institutions and individuals. Tigrayans, an ethnic community centred in the north of Ethiopia, make up about 6% of the population but are generally considered to dominate the political and business elite. Abiy was seen as a relative political outsider before being picked for the top job by the EPRDF council. He is the first leader from Ethiopia’s largest ethnic community, the Oromo, who have complained for decades of economic, cultural and political marginalisation. Born in western Ethiopia, Abiy joined the resistance against the regime of Mengistu Haile Mariam as a teenager before enlisting in the armed forces, reaching the rank of lieutenant-colonel. He has a doctorate in peace and security studies. After a stint running Ethiopia’s cyberintelligence service, he entered politics eight years ago and rose rapidly up the ranks of the Oromo faction of the EPRDF, which has historically been at odds with the Tigrayans. Analysts say Abiy’s mixed Christian and Muslim background, and fluency in three of the country’s main languages allow the new leader to bridge communal and sectarian divides. He has also reached out to women, making an unprecedented mention of his wife and mother in his acceptance speech. One personal acquaintance described the new prime minister as “always looking ahead for the future”. 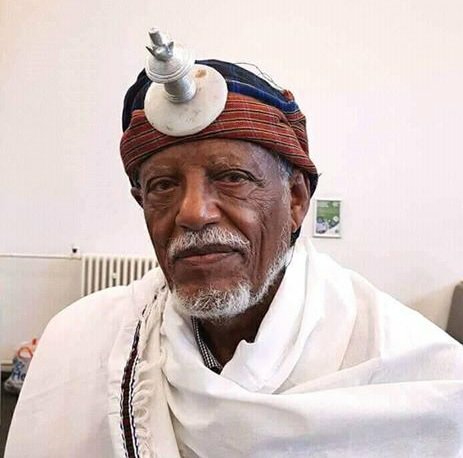 “He is also a good listener but with a bit of headstrong attitude towards people who don’t deliver,” said Yosef Tiruneh, a communications specialist who worked under Abiy at the science and technology ministry. Andargachew Tsege, a British citizen unexpectedly pardoned in May after four years on death row on alleged terrorism charges, said Abiy was “very intelligent and a quick learner” who was committed to democratisation. “Abiy invited me to meet him two days after my release. We spoke for 90 minutes and a lot of issues were discussed. It was a meeting of minds. This guy means business,” Tsege, who was abducted by Ethiopian security services while in transit in Yemen four years ago, said. But some point out that the autocratic nature of decision-making in Ethiopia has yet to change, even if Abiy is using his new powers to reform. “The country is still being led by one person and his cabinet,” said Tigist Mengistu, an executive in Addis Ababa. “Sadly we have been there for 27 years and we want that to change. It is bad for a country as diverse as Ethiopia,” she said. Ethiopia’s Prime Minister Abiy Ahmed said his country would normalise relations with neighbouring Eritrea following an historic meeting with President Isaias Afwerki in Asmara on Sunday, ….